This card will be entered into the Challenges at; Double D, Neutrals, Cheery Lynn, Doily and Scrapy Land, Use An Image. MFT Stitched Traditional Tags for my sentiment which is from Gina K Designs, Fanciful Fall, the small fussy cut leaf is from the Autumn Beauty stamp set. Ink in Always Artichoke. Brown Gingham Ribbon and Candy Dots for accents. I am so HAPPY to be making Fall cards.....even the temperatures have dropped significantly here. YIPPEE!!! Thanks for coming by, appreciate you doing so! What a beautiful creation ... love that jar of buttons!! Thanks so much for joining in the fun at our Double D ‘Neutrals’ challenge! We hope you’ll come back often. Great card Donna! Love your button jar! Wow, I LOVE this card Donna, love every single beautiful detail!! Fall cards are some of the best to make!! Thanks for joining us at Double D! This is so gorgeous, Donna! I adore everything about this fabulous design!! Ack! That jar of buttons is so cute, and love it with the fall theme! Got to get started on those fall cards before Christmas! You pulled all these elements together beautifully. Love it with the wheat! Thanks for sharing it in our DD challenge, Donna! Ohhhh, I'm lovin' that jar of buttons. Love how you inked up the doilies. Fall cards and cooler weather....my favorite time of year. Very pretty....loving the jar of buttons. Sweet card! Gorgeous autumn card, love the jar of buttons and the flowers are beautiful, leaves and doily just finish it off great! Another gorgeous card! The flowers are gorgeous and love the wheat. Beautiful card Donna and lots of fab details to look at. 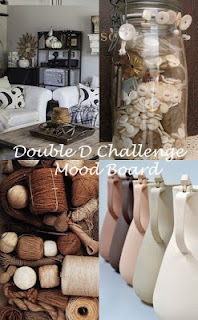 Thanks for joining in the challenge at Cheery Lynn Designs and good luck. Fabulous card! Thanks so much for participating in the Cheery Lynn Designs Challenge this week and good luck. Beautiful! Such great colors and details! Thanks so much for joining us at Cheery Lynn Designs this week and good luck! Such a sweet card and great addition to our challenge. Thanks so much for joining us at Cheery Lynn Designs. Hugs from Ginny at Polly's Paper Studio.